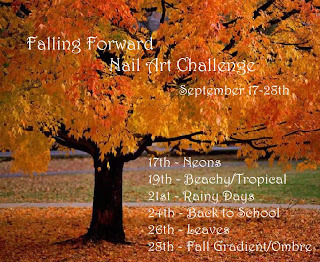 Falling Forward Nail Art Challenge Day 3 is Rainy Days. I had no idea what to do for a rainy day manicure. When I first think of rainy days. I think gloomy, blue, grey, rain, thunder and umbrellas. 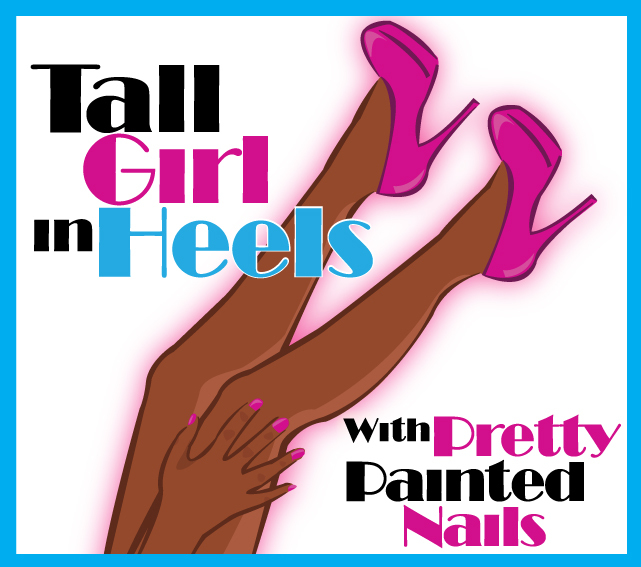 Since this is what comes to mind, I got out my Zoya Natty, Evvie and Snow White and did whatever came to mind. This Mani was a total fail. I was going for the gloomy look and I used the Saran wrap technique. I painted my first two nails in Evvie and the last two in Natty. I, then, added a umbrella to my ring finger with some rain drops and used the saran wrap to "sponge" on a little Snow White. Next, I mixed Evvie and Snow White and "sponged" on my middle finger. 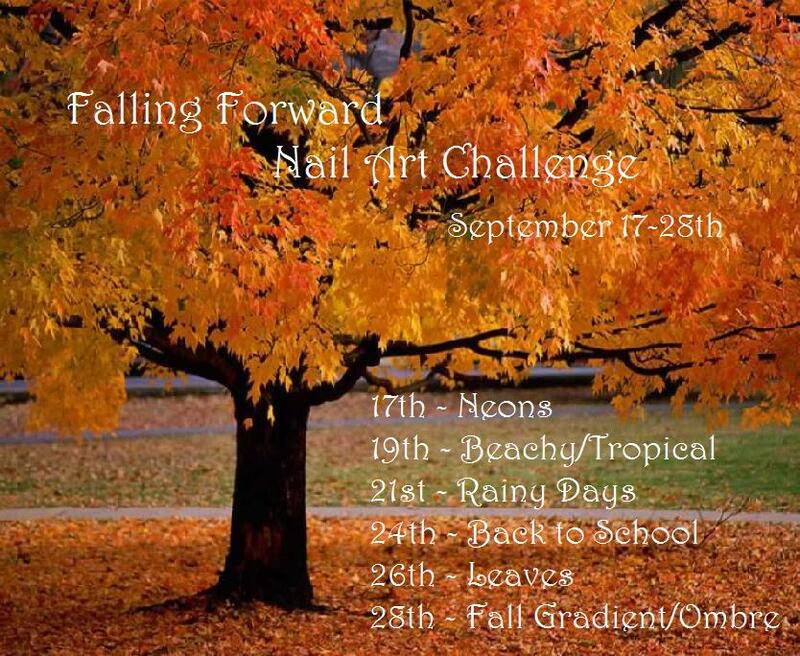 This gave the nail a marbled look. I continued this with the last two fingers. I like this technique, but this manicure didn't come out how I wanted. My first finger has too much Snow White and looks like a snow storm instead of a rain storm. Ugh! I do, however, like the way my middle finger and pinky finger came out. I will be trying this technique again. It was easy. Yeah, I liked the technique. Thanks. I really like it, reminds me of storm skies and seas. Think how fabulous this technique would look with a cable knit sweater and jeans!